The props and editing were awesome, but the drama is lacking. What svo said. I was entertained enough that it deserves a thumbup. it does a very good job in building up the tension. 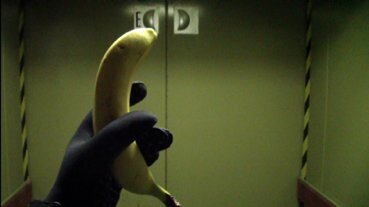 i was eager to know what crazy stuff will happen to the banana in this doomsday machine.. so i was a bit disappointed in the end..
Yeah, well done, but what was that machine for?! Great scroller on it, though. The music reaches no peaks, and tension isn't really growing. Filming control panels / surfaces of industrial machines is not entertaining, but the led scroller saves it. Weak piggy. may I ask how you got access to those? o_O astonishing! Pretty much what v3nom said. The real questions are, if that banana is still eatable and if it's still viel gesünder? Actually pretty boring imho. Oink! rulez added on the 2012-08-18 18:35:14 by ɧ4ɾɗվ. special props to red for another really nice tune. well done w/ awesome greetingpart! Next time blow up the banana! Great and entertaining prod. page created in 0.014485 seconds with 15 queries.